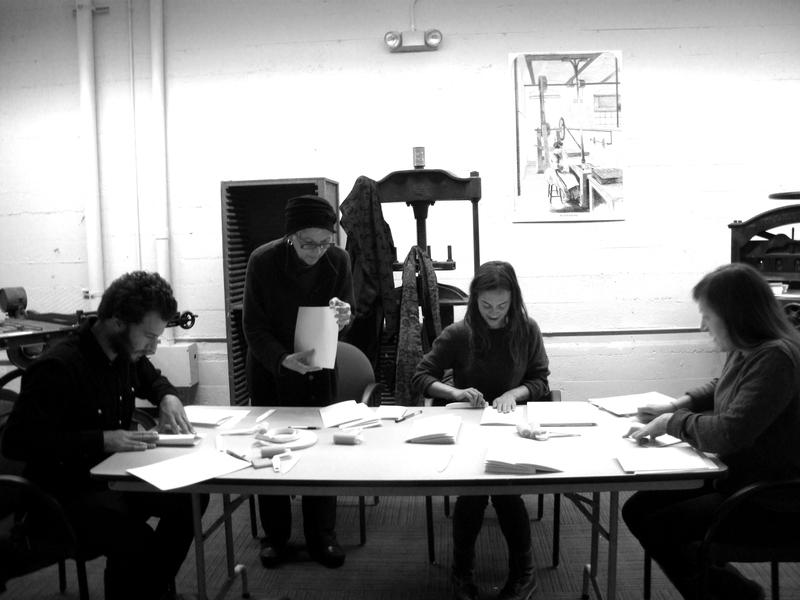 This past saturday we held our first bookbinding tutorial here at the museum. 4 of our volunteers came out and learned how to do a simple pamphlet stitch as well as the more complex sewing over tapes with a french fold, then casing into a hard cover. Since one of our main goals is to have a bookbinding demo as part of our tour, we are starting the process of educating our volunteer base so that they understand and can communicate the mechanics of making a book from start to finish. There are a myriad of different binding techniques, so for this first tutorial I decided to focus on the bindings that I find most useful in my day-to-day book making. 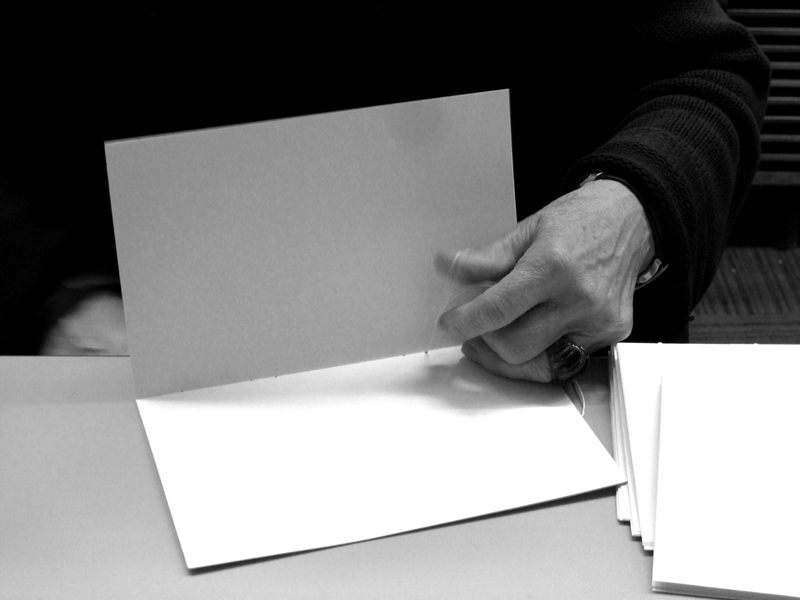 The pamphlet stitch is used for one signature zines and pamphlets. 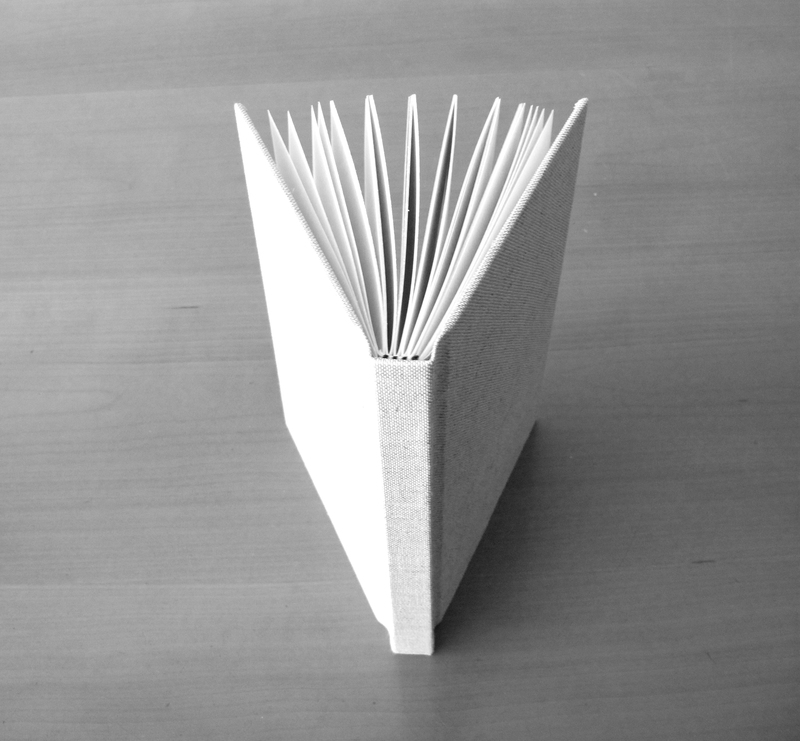 The restriction with this binding is that since you are only sewing one signature, you are limited in the number of pages that can be included, especially if you are using a thicker paper stock. That said, it’s a great alternative to stapling your pamphlet together, you can choose a colorful thread and make a beautiful object easily and quickly. We also completed a hard-cover book from start to finish. First we folded the paper to make signatures, then learned how to sew them together. The binding used was sewing over linen tapes with a french knot, which is great for small editions of signature bound books. 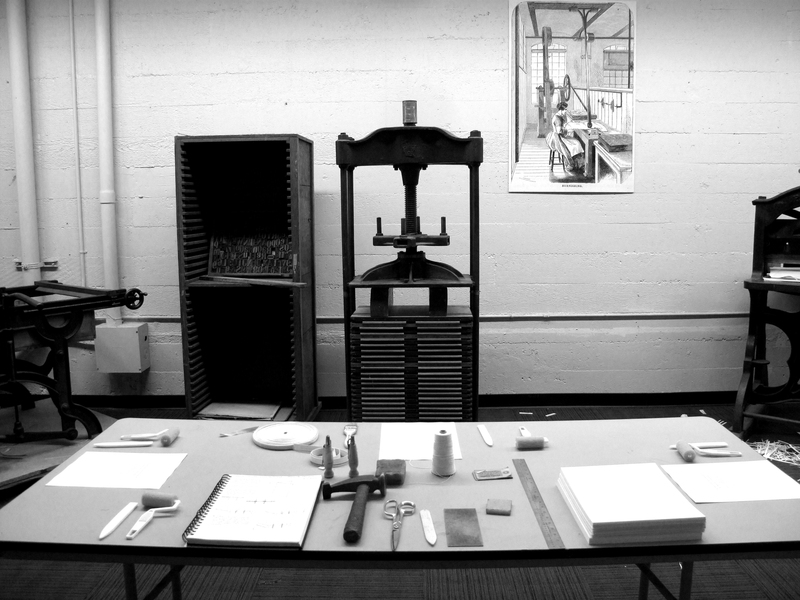 Once the book blocks were ready, we embarked on making a case. 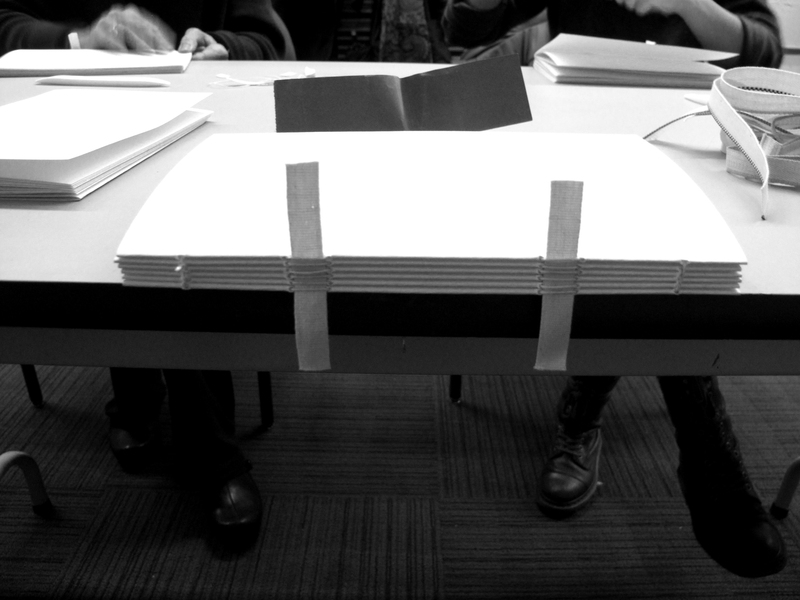 Measuring for a hard cover can be a bit tricky, but everyone did such a great job! By the end of the session, each person had a hand-made, hard-cover journal to take home. If this sounds interesting to you, please reach out! We are always looking for volunteers to join in our endeavor, and we plan for the tutorials to be ongoing. Each session will build on the last so that by the time we are ready for our grand opening we will have a group of volunteers capable of demonstrating their skills to the public.